With mani-pedi season fast approaching, our hands and feet are ready to come out of winter hibernation. In anticipation of this, we get our calendars booked with nail appointments and start getting excited over flaunting some of the season’s trendiest colors in chic, open-toed sandals. What many of us fail to consider, though, is that the nail salon is actually the last place you should be going if you are dealing with stubborn calluses. Curious why? We’ve got the deets on why this is the case along with an at-home tea tree oil callus-removal method that is 100 percent natural. Calluses are like that unwanted family member who came to visit but ended up staying way longer than expected. Ugh, we're groaning already. In medical terms, they are the result of repeated pressure on a spot on the skin. This causes extra layers of skin to grow to protect the area, resulting in hard, raised bumps on the skin. They are typically found on the hands, heels, toes, and even the knees. Weight lifters often have them on their palms from lifting heavy weights. The mere fact that nail salons typically use cheese-grater-looking devices for callus removal is enough to have us running away. Unfortunately, it even goes deeper than that (no pun intended) with the risks involved since these nail salon devices literally shave or cut the foot. 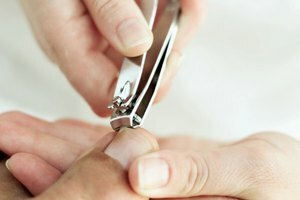 Jacqueline Sutera, DPM, a podiatrist in New York City, says that "cutting" is considered surgery and should only be done by someone trained to do it. If done improperly, it can be very dangerous. “When these go too deep and are used on patients with thin skin, poor circulation, or diabetes, it can cause burns and terrible wounds or infections." Callus-removal procedures are typically add-on fees that you don't need, so don't be afraid to say no even if they insist. It turns out that if you're an athlete, it's not always necessary to have your calluses removed. Skyy Hadley, celebrity manicurist and owner of the As "U" Wish Nail Spa, explains why. "If you're an athlete then you should never remove your calluses as these actually help level your performance. Never allow your nail technician to cut or shave the skin off your feet." Instead, turn to at-home natural removal methods. Since tea tree oil is anti-bacterial, anti-fungal, and a natural antiseptic, it makes for the perfect at-home remedy to remove stubborn calluses. 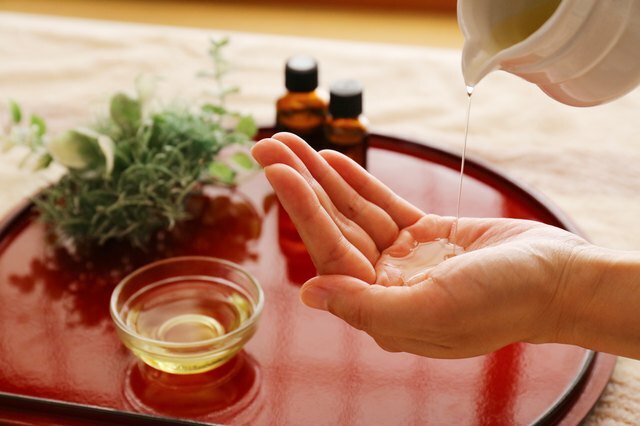 According to Healthline, all you need to do is put a few drops of tea tree oil (often found at health food stores) into a large basin of warm water. You want to soak the callus in the water-oil mixture until you start to feel the skin soften and lift. Tip: Don't let your skin soak for more than 15 minutes because tea tree oil is strong and could damage the skin layer if left on too long. That’s it: a pain-free, safe, and totally free way of removing calluses right in the comfort of your own home. No tipping required.